Enter to win new Kindle Fire sweepstakes for 2019. Below is a list that includes some of the best sweepstakes you will find on the internet. With chances to win great prizes, you do not want to miss out. Be sure to check back to this page every day to enter the fresh new 2019 Kindle Fire sweepstakes as they are added. For daily entry giveaways, each day you enter to win is one more chance to get the prize of your dreams, and you do not want to miss out. Enter to win a Kindle Fire 8 HD from JustKindleBooks.com. 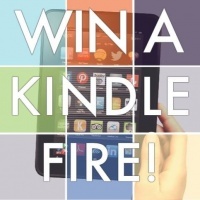 JustKindleBooks is giving away a brand new Kindle Fire HD 8 with a $50 Amazon gift card. Enter for a chance to win a new Kindle Fire HD 10 Tablet.